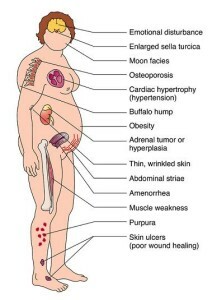 Cushing’s disease occurs more commonly in adults. Most patients with Cushing’s disease have small tumors (pituitary microadenomas). The disease affects 10 to 15 people per million each year, most commonly adults ages 20 to 50. Women account for more than 70 percent of cases. The diagnosis of Cushing’s disease is often long delayed and can be difficult to make. 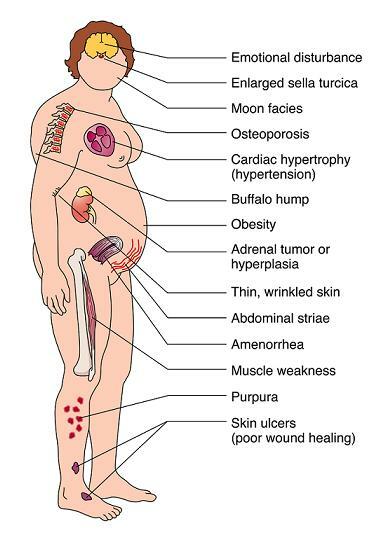 An endocrinologist should always supervise the evaluation for Cushing’s disease. Certain types of cancer, elsewhere in the body, can make ACTH, which then stimulates the normal adrenal glands to make excessive cortisol. This is called “ectopic” ACTH production. In some individuals with depression, alcohol abuse, anorexia nervosa or high estrogen levels, cortisol levels may be chronically elevated. These patients with “pseudo-Cushing’s” may be difficult to distinguish from those with true Cushing’s. Additional hormonal tests are often needed to clarify the diagnosis. Dexamethasone is a powerful drug that acts similar to, but is more potent than cortisol. Normally, an excessively high blood cortisol level is detected by the brain, which in turn regulates the pituitary gland to decrease the production of ACTH. 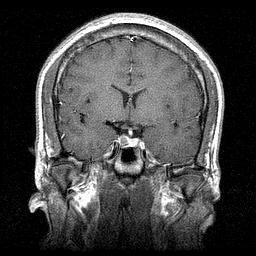 In some cases, MRI (see Imaging below) fails to identify an abnormality within the pituitary gland. Specially-trained interventional neuroradiologists are able to navigate a tiny catheter into the inferior petrosal sinus. Blood samples are then taken from each sinus, and also from a vein in the arm. Another expected finding in Cushing’s disease is that the ACTH level in the inferior petrosal sinus should be higher than in the blood taken from the arm. Once the diagnosis is suspected based on clinical findings and hormonal testing, a magnetic resonance imaging (MRI) scan of the pituitary glad is the best way to detect the presence of an adenoma in Cushing’s disease. MRI detects an adenoma in about 70 percent of cases. We have a powerful 1.5T MRI scanners that may offer improved chances of identifying very small tumors. 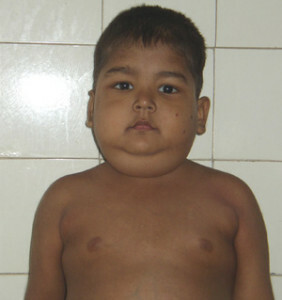 Transsphenoidal surgeryto remove the adenoma offers the only long-term cure of Cushing’s disease. The cure rate for smaller tumors (microadenomas) is 80 percent to 85 percent. The cure rate is 50 percent to 55 percent for larger tumors that have spread into adjacent structures. Medications that inhibit cortisol production in the adrenal gland —ketoconazole, aminoglutethimide, and metyrapone—can effectively treat cases where surgery fails, though all have some side effects. Both conventional (external beam) and stereotactic radiosurgery are treatment options if surgery fails. However, stereotactic radiosurgery typically is more effective with fewer side effects. External beam radiation causes loss of normal pituitary function over five to 10 years. Complications such as visual loss, weakness, and memory impairment occur on rare occasions with either option.